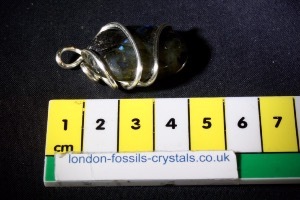 Hand wired by us at London Fossils and Crystals this Labradorite is hand wired using a silver plated wire. 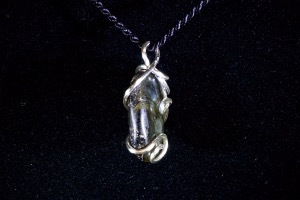 This pendant will come with a natural hemp cord. 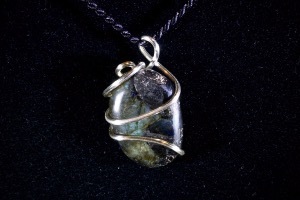 Labradorite is a plagioclase feldspar, a sodium calcium aluminium silicate. It’s crystal structure is triclinic, usually in complex aggregates. It’s name is derived from the Labrador peninsula in Canada, where the stone was first found in 1770. It is treasured for it’s remarkable play of colour (labradorescence), which shows vivid flashes of green, blue, gold, orange, red and some times violet. 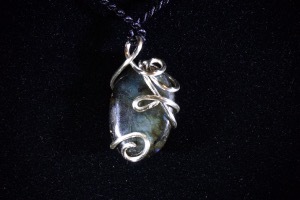 Labradorite is found in Canada, Madagascar, Finland, were its know as Spectrolite and it has also been found in Mexico, Russia and the United States.